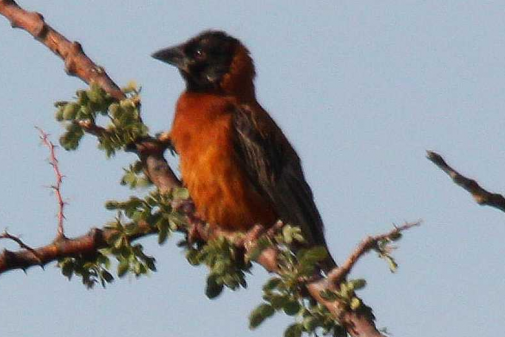 Chestnut Weaver, Records in the Northern Cape, South Africa. 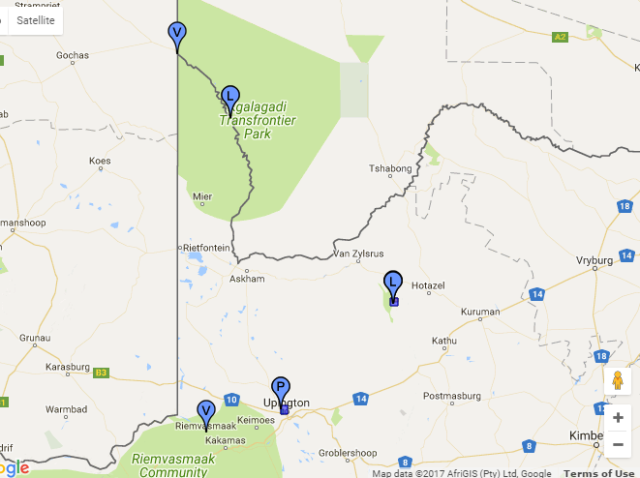 In South Africa the Chestnut Weaver has two grid cells with records from SABAP2 (2007-), while there were no records during SABAP1 (1987-1991), nor previous to the atlas projects. There were also additional records, as listed in the Table below. Namibia: sighting far south of its range in Namibia (Swanepoel W 2005 Birds on the move: range extensions and vagrants in western, central and southern Namibia 1994-2005. Lanioturdus 38(2):19-24).